Part of living is making preparations for the future. This is important for the simple fact that tomorrow will be different from today; we know this because today is different from yesterday. One of the most important action plans you can take from now is to begin to think about the kind of future you want and to work towards creating it. Not many people do this, rather what the majority do is to leave their future to chances effectively leaving themselves with no choice than to accept whatever life eventually throws their way. The successful, however, think and act differently. Most of the key decisions that successful people take are driven by considerations for their future. They therefore take the kind of actions aimed at creating the kind of future they want, rather than leave their future to chances. 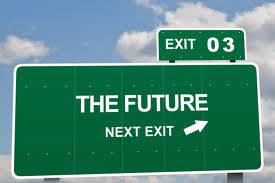 How the future will turn out for you will largely be determined by what you do or don’t do today. Whether you will retire as broke or financially independent, whether you will be divorced or remain married some years from now, whether you will still be doing the same kind of job you are doing now or remain at the same financial level in 5 or 10 years' time will largely be determined by the very actions you are taking now. How the future will turn out for you will not be decided entirely by future events, but by the decisions you are currently taking in response to the opportunities available to you today. Today is given as an opportunity to shape tomorrow. In actual sense, what is called today is nothing more than the tomorrow of yesterday. Everything you are doing now will have an impact on your future, positively or negatively. The greatest use to which you can put today is to use it to shape the future positively. What's up mates, its wonderful paragraph on the topic of teachingand entirely explained, keep it up all the time. I'll bookmark your blog and check again here regularly. I am quite certain I will learn lots of new stuff right here! Good luck for the next! even using WIFI, just 3G .. Anyhow, good site!